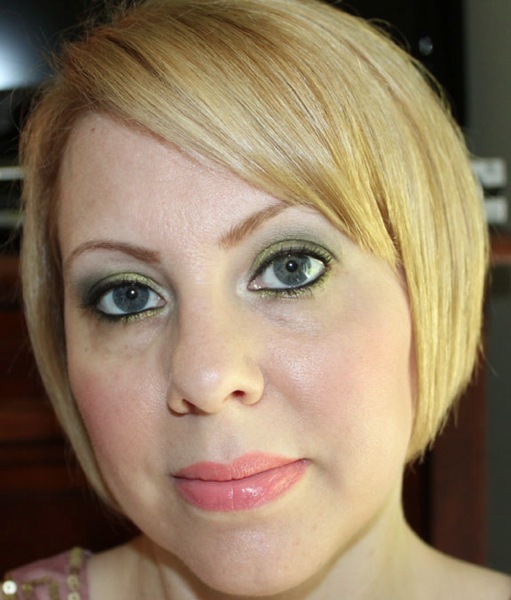 I thought I would show you a look I did with the new MAC Fashion Flower colors coming out this week. Wow, Shy Girl looks really different on you than it does on me! Delicious May Masthead! And you very look pretty! ooh so beautiful 🙂 i love your new hair as well! Not only have I emailed you before and your reply was rude and condescending, but the rants you go on about people stealing images have just pushed me over the edge when I see that your banner is stolen from a well known food blog. You have lost a reader. I hope some others will follow. Actually you are totally wrong, this image was purchased from Dreamstime.com where I bought it. You really need to not shoot your mouth off about things you clearly know nothing about. And FYI the image on whatever food blog you are talking about was probably stolen. I emailed VV once, asking what I’m sure was a pretty stupid question and which she had already addressed in a post that I didn’t think to look of first, and she was nothing but nice and helpful. *If* she came off as condescending in an email to you (and I really doubt she did), it was a response to your own attitude. VV is not customer service, she is not required to bend over backward to please you, just because you sent her an email. The image issue doesn’t even need to be addressed. You showed your ignorance in jumping to a ridiculous conclusion without even checking. Get over yourself. I think it is ridiculous of you to even think that Kelly would steal an image, since she is so offended when others steal her images (or other bloggers), and that she would jeopardize her professional blog that she has spent countless hours & money building. Glad she has lost you as a reader. 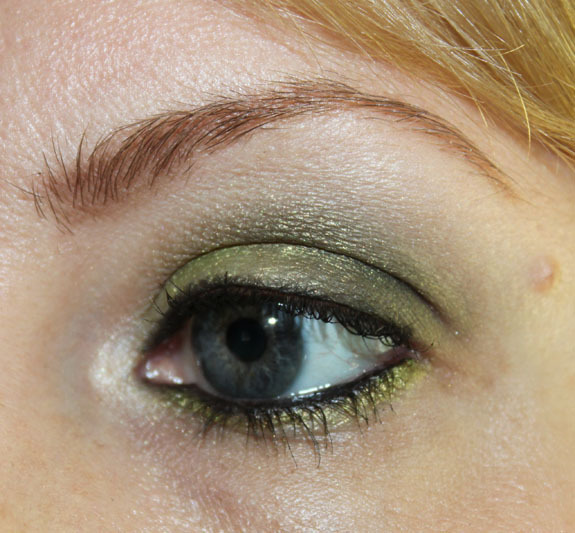 That eye look is gorgeous – adds drama without being over-the-top. Wow, this looks fab on you! 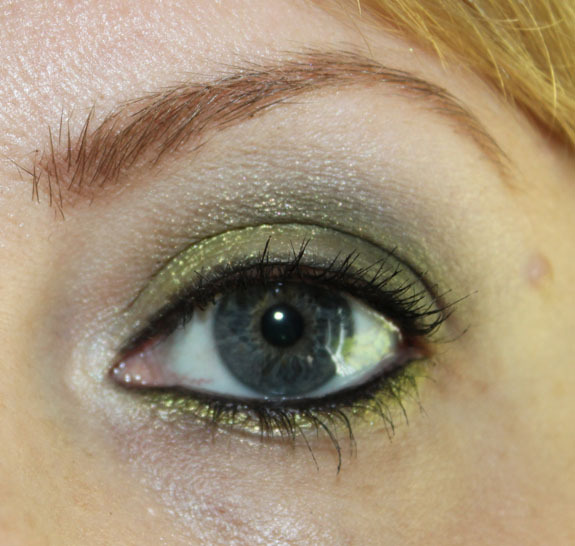 I love this look for your eyes, the colors are fab! Hmmm…..I don’t need anymore eyeshadow, however, that Lucky Green may need to find itself in my makeup stash!! Your looking gorgeous Kelly. I love these greens. Shy Girl looks lovely on you. Lucky Green is awesome on you. *Sigh* Kristina, I agree!! I’ve been trying to tell myself that I do not need this shadow, yet I am still wanting it, and seeing as Kelly looks amazing, this is not helping! This looks really pretty. I don’t wear eye makeup, because I can’t apply it to save my life, but if I did, I would choose these colors.